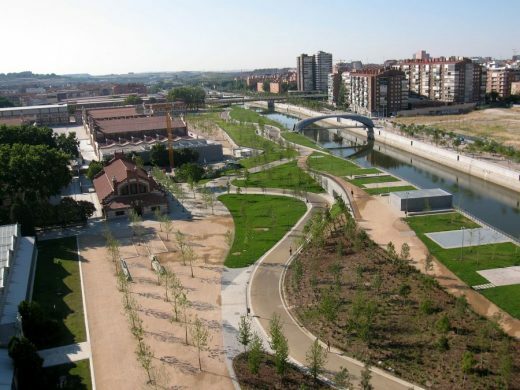 The Harvard Graduate School of Design (GSD) is pleased to announce that the 12th Veronica Rudge Green Prize in Urban Design has been awarded to Madrid Río, a new linear park in Madrid designed by a team led by Ginés Garrido of Burgos & Garrido, including Porras & La Casta, Rubio & Álvarez-Sala, and West 8. The three Madrid architecture studios and the Rotterdam-based landscape architecture firm will share the prize’s $50,000 purse. 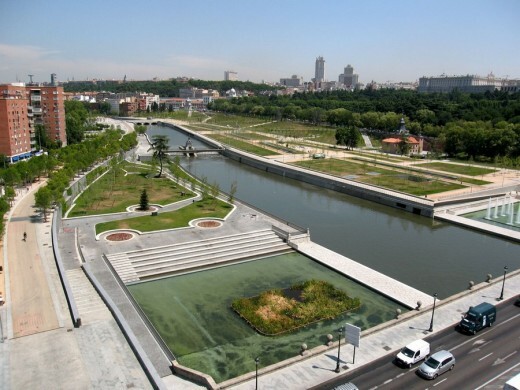 The City of Madrid reclaimed the banks of the Manzanares River by depressing a large segment of the inner ring road, the M-30, built in the 1970s and severing whole sections of the city from each other. 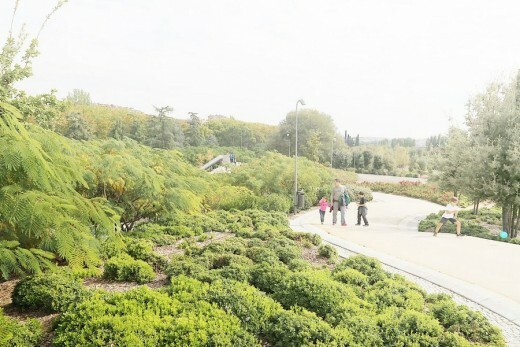 The result of surfacing nearly 30 kilometers of tunnels is the creation of 120 hectares of new public space, which encompasses dozens of sports areas (tennis and basketball courts, soccer fields, fitness areas, rock climbing center, skate park), greenswards, plazas, cafes and restaurants, an orchard, an urban beach, children’s play areas, plus 30 kilometers of cycling paths, and 11 new footbridges. 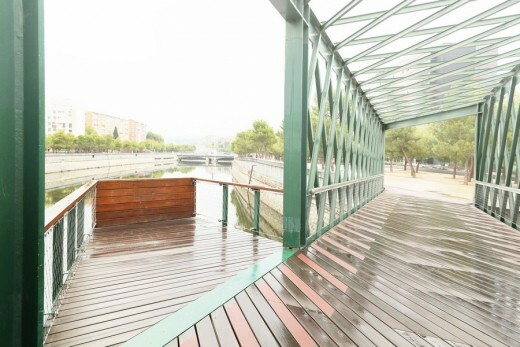 The project also prompted the restoration of five historic dams and two historic bridges (the Puente de Segovia and Puente de Toledo), as well as the refurbishment of highway bridges and the recuperation of the areas surrounding these infrastructural works. 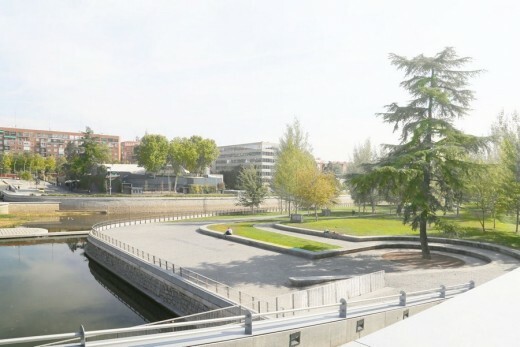 With these new river crossings and the incorporation of existing historic features into the new park plan, Madrid Río has strengthened surrounding neighborhoods’ connection to the new amenities and to each other. Mehrotra has directed the prize since 2011. Other 2015 jury members included Silvia Benedito, Assistant Professor of Landscape Architecture, Harvard GSD; Jerold Kayden, Frank Backus Williams Professor of Urban Planning and Design, Harvard GSD; Toshiko Mori, Robert P. Hubbard Professor in the Practice of Architecture, Harvard GSD; and Mirko Zardini, Director of the Canadian Center for Architecture. 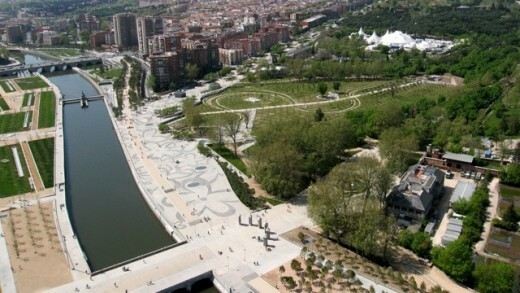 The Veronica Rudge Green Prize is unique among international urban design award programs in that its jury members travel to experience finalist projects firsthand. An exhibition on the winning project will be on view at the GSD’s Gund Hall gallery from January 18 to March 6, 2016. The awards ceremony will be held at the GSD on February 2, at which prize jury chair Mehrotra will lead a discussion and presentation. The Veronica Rudge Green Prize in Urban Design is the foremost award recognizing achievement in this field. 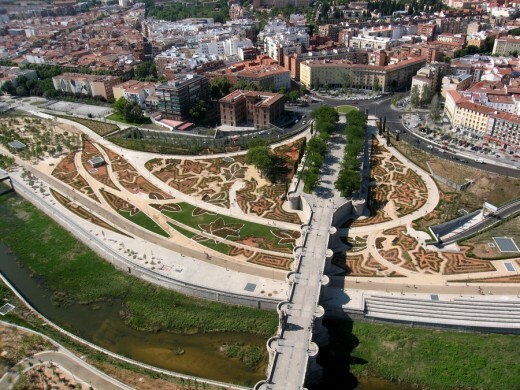 Awarded biennially, the prize recognizes exemplary urban design projects realized anywhere in the world in the past 10 years, with the understanding that such projects often require many years before they are able to demonstrate impacts. Projects must be more than one building or an open space, and are evaluated in terms of their contributions to the public realm and to quality of urban life. 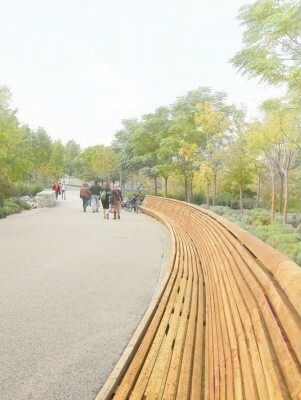 The project must also demonstrate a humane and worthwhile direction for the design of urban environments. The award was established in 1986 on the occasion of Harvard University’s 350th anniversary and the 50th anniversary of the Harvard GSD. Nominations for the prize are received from the GSD’s extensive network of academics and urban design professionals. Previous winners include: Metro do Porto in Porto, Portugal, by Eduardo Souto do Moura with the Metro do Porto, and the Northeastern Urban Integration Project in Medellín, Colombia, by the City of Medellín with architect Alejandro Echeverri and Empresa de Desarrolo Urbano (EDU) (co-winners, 2013); Cheonggyecheon Restoration Project in Seoul, Korea, by the Seoul Metropolitan Government (2010); Olympic Sculpture Park in Seattle, Washington, by Weiss/Manfredi (2007); Rehabilitation of the Old City of Aleppo, Syria, by the City of Aleppo (2005); Borneo Sporenburg Residential Waterfront in Amsterdam, the Netherlands, by Adriaan Geuze/West 8 (2002); Favela-Bairro Project in Rio de Janeiro, Brazil, by Jorge Mario Jáuregui Architects (2000).